The key behind the professional personal service that you will receive at the law offices of Anthony J. Caiazzo, Jr., Esq., P.C. is experience and dedication. 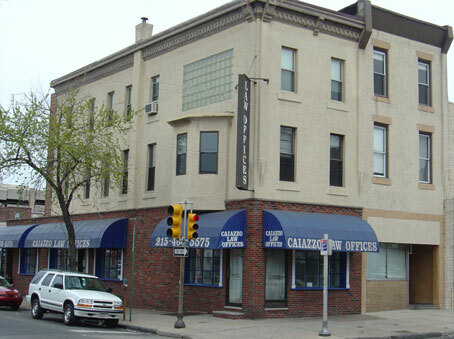 Founded in 1965 by Anthony Caiazzo, Sr., Esq., the firm has been serving South Philadelphia for over 40 years. The firm is truly the American story of success. Anthony Caiazzo, Sr., Esq. came to Philadelphia as an Italian immigrant when he was four years old. He could not speak or read English. His indomitable spirit and intelligence overcame every obstacle placed in his way. As a teenager he served in Guam during the Korean War. After the war he completed High School on the G.I. Bill and went to Wharton School of Business at the University of Pennsylvania and School of Law at the University of Pennsylvania. Anthony J. Caiazzo, Jr., Esq. followed in his father's foot steps and in 1988 upon leaving the Public Defenders Association of Philadelphia joined forces with his father. They have been working together since. Today they have over 60 years of combined experience handling a variety of legal services. From Catastrophic personal injury claims to Simple Wills. Anthony Jr. speaks publicly at many church groups, schools and civil groups on a broad range of legal subjects and current legal issues. The office itself is run by Terry, Nancy and Allison. The office is opened from 8:00 a.m. to 5:00 p.m. Monday through Friday with evening and weekend appointments. In South Philadelphia, when you need legal counsel let Anthony J. Caiazzo, Jr., Esq. answer your questions.